Denim has millions of worldwide fans. This cloth already has a special place in the hearts of fashion lovers. That is why the knowledge about the cloth were sought by so many people, particularly those with certain interest in fashion denim. 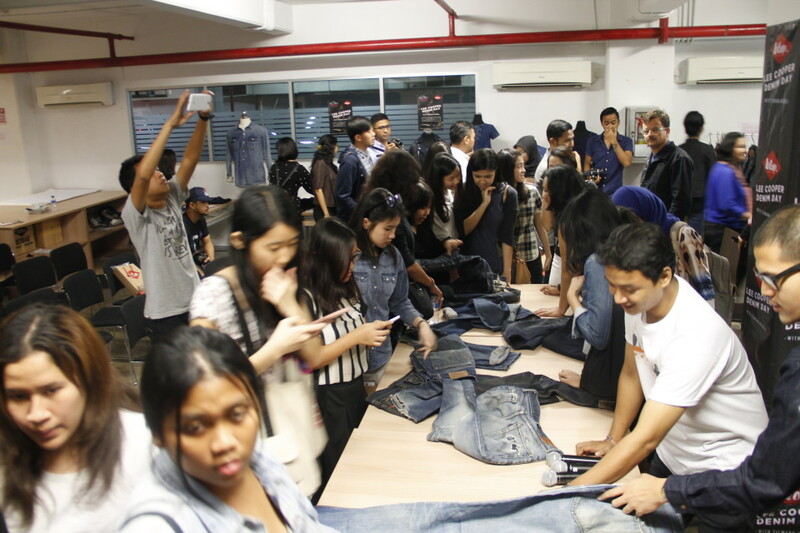 For that purpose of seeking knowledge of denim, one of the biggest and oldest denim brand in the world, Lee Cooper, held Denim Day event, in cooperation with BINUS NORTHUMBRIA SCHOOL OF DESIGN, on Friday (12/6). 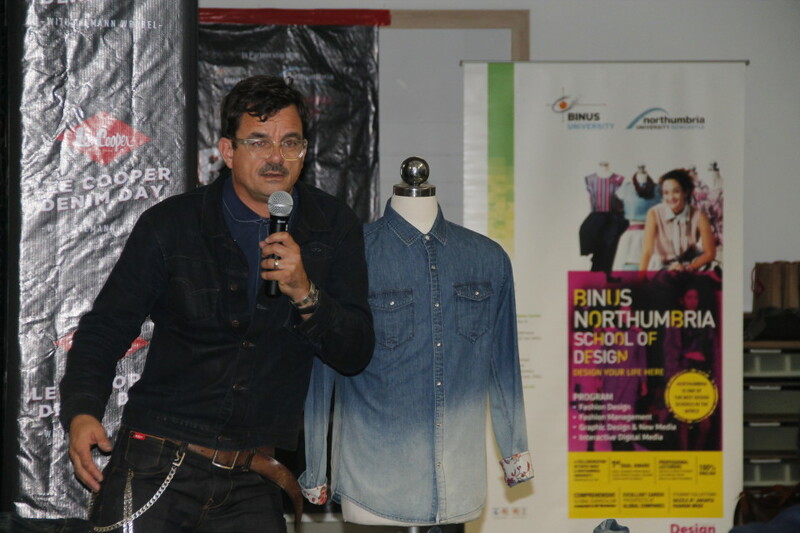 With full enthusiasm, organizers of the event invited Tilmann Wrobel, world denim experts from Germany, to speak at the event. 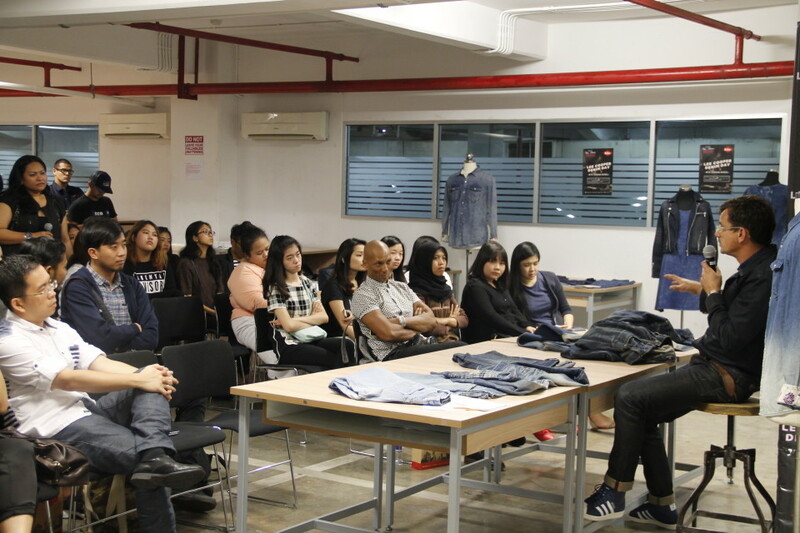 In his turn, Tilmann offered his rich knowledge about denim. Starting with how to choose a good denim cloth for use, care for it, and not the least, how denim appeared in history. 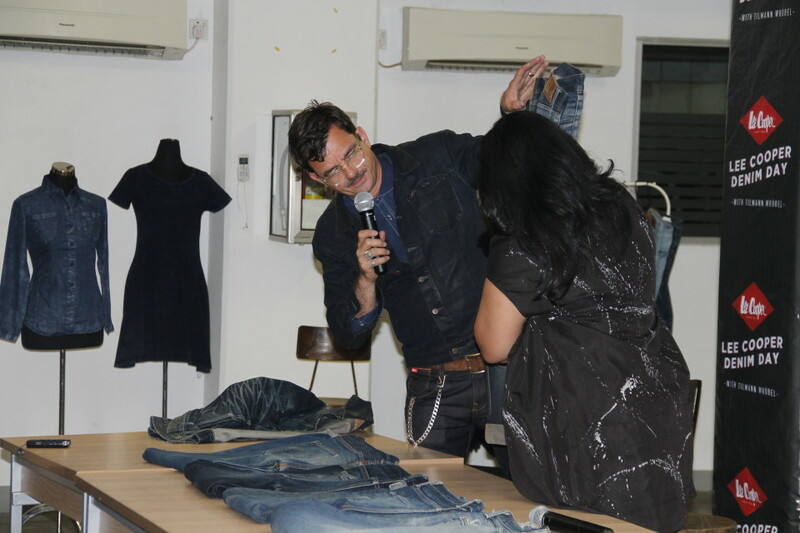 While providing an explanation, Tilmann also showed some of the best items in his denim collection. 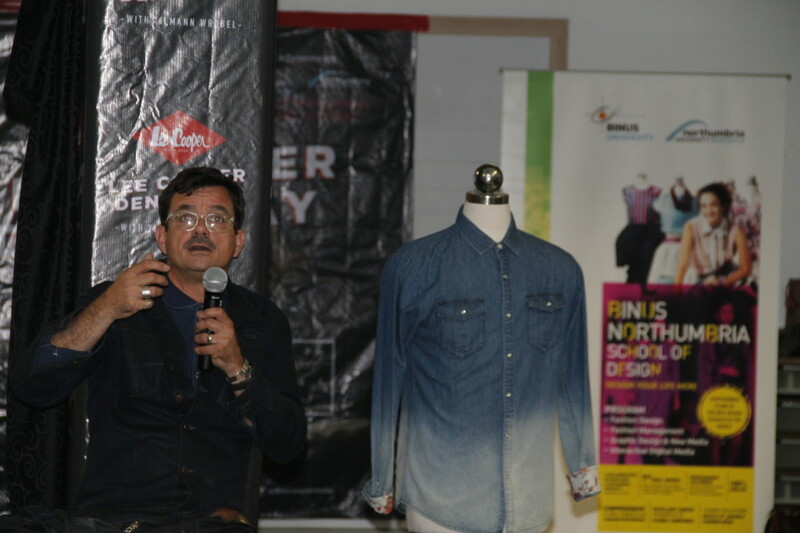 “Denim’s biggest enemy is water,” so he began his presentation. Tilmann furthermore suggested minimal washing to denim wearers to help conserve denim’s original character that is usually blue. Therefore, its character will last long and help increase value of the denim itself. Tillmann also revealed more facts about denim. 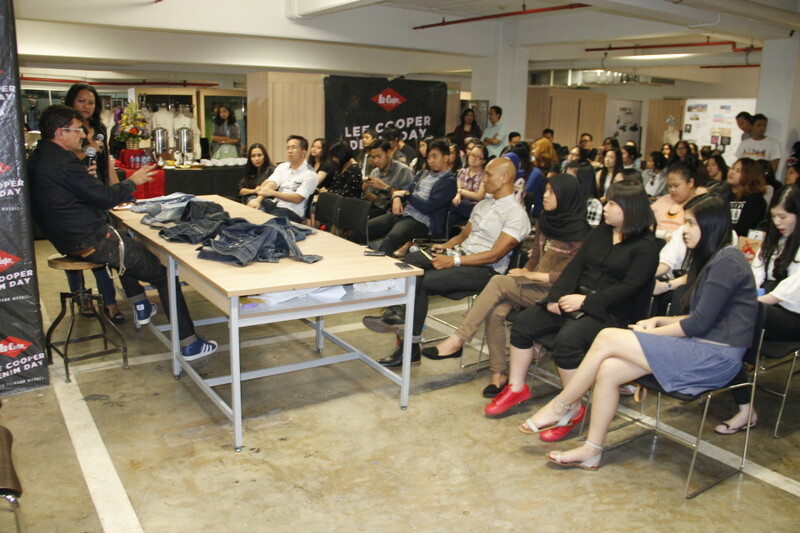 The cooperation between BNSD and Lee Cooper was started in 2013 by means of a similar event arrangement. 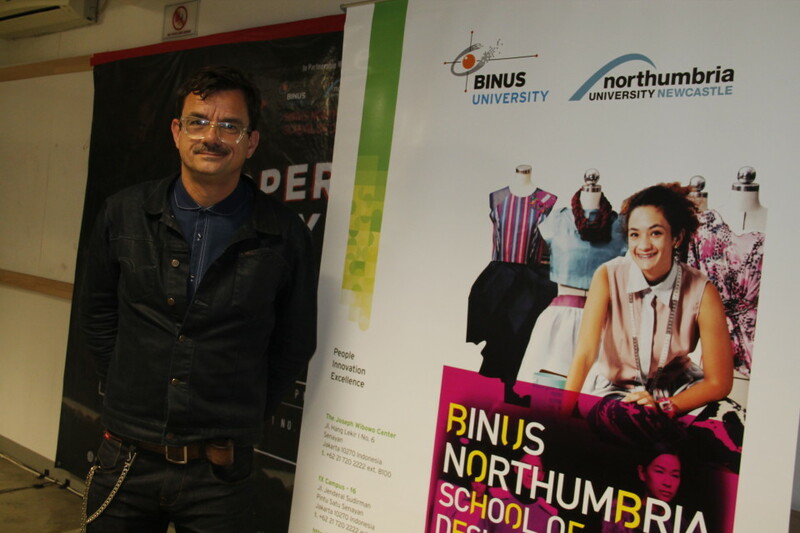 In the future, it is not impossible that the cooperation is carried on through similar event arrangements which may well help develop Indonesia’s fashion industry.